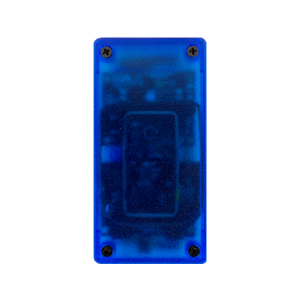 Quickly and easily connect wirelessly via Bluetooth (BLE, SPP, or HID) to read RFID/NFC tags to your preferred application on any desktop or mobile device. Reads all major smart card types, including PROX, MIFARE, iClass, SEOS, Elite, Indala, and more. Integrate with any Cloud-In-Hand™ Platform or third-party application, or develop your own application with accessible APIs/SDKs. Configure reader settings from iOS, Android, or Windows devices. Use with virtually all applications, even if they don’t support RFID. 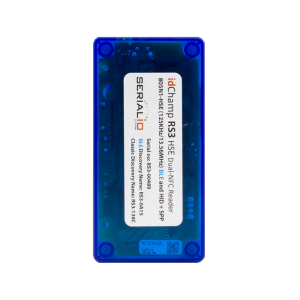 The idChamp® RS3 Badge & Smart Card Reader is also supported by iScanBrowser to post RFID/NFC scans to any webpage. 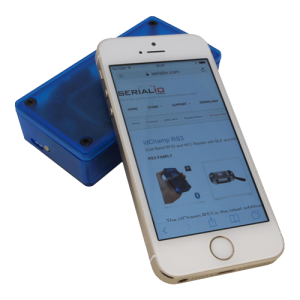 Many industry-leading corporations, such as Facebook and Google, have realized the potential of our idChamp® Readers for various RFID/NFC tag reading applications. Our team of technical experts are available to help troubleshoot and answer support questions about the idChamp® RS3 Readers. Questions? Call us at 512-931-3308 or email [email protected]. Looking to connect your own app or in the process of developing an iOS or Android app for Bluetooth DEX connectivity? Join the Software Developer Program for access to Serialio’s APIs, SDKs, and expert developer assistance.